Wallace, P. (2018). 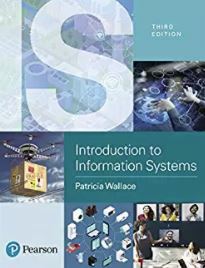 Introduction to information systems. 3rd ed. Saddle River, NJ: Pearson/Prentic-Hall. Wallace, P. (2016). The psychology of the Internet, 2nd edition. Cambridge, UK: Cambridge University Press. Wallace, P. (2015). Introduction to informaiton systems, 2nd ed. Saddle River, NJ: Pearson/Prentice-Hall. Wallace, P. (2013). Information systems in organizations. Saddle River, NJ: Pearson/Prentice-Hall. 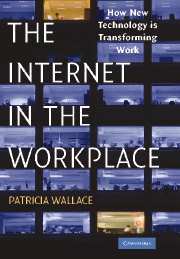 Wallace, P. (2004) The Internet in the workplace: How new technology is transforming work. Cambridge , UK : Cambridge University Press. Wallace, P. (1999, 2001). The psychology of the Internet . Cambridge , UK : Cambridge University Press. Translated versions of this book have been published in nine additional languages, including Japanese, Chinese (2), Hungarian, Korean, Spanish, Italian, Estonian, and Polish. Paperback edition released in 2001. Wallace, P. (1999). Psych Online. Boston , MA : McGraw-Hill. Wallace, P. (1997). Psych Online 97 . Dubuque , IA : Brown and Benchmark.